Location! Location! Woodridge Subdivision, built by Morningstar Homes. The Sierra features a spectacular great room w/16 ft ceiling and gas fireplace. Large open kitchen w/stainless steel appliances, granite countertops, large eating areabreakfast bar plus large dining area w/access to your covered patio and stairway to your fully fenced south facing backyard. Bonus full laundry rm & open den w/separate entrance on the main. Upstairs are 3 large bdrms plus family rm. 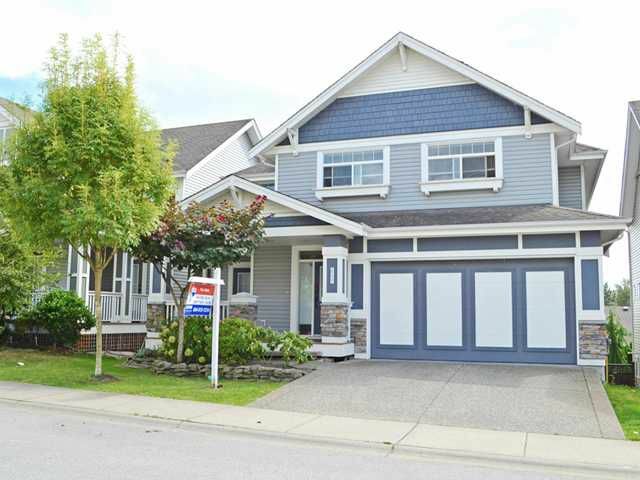 Master w/south views, vaulted ceilings & dream ensuite w/separate shower/tub. Down is full daylight w/o basement which is fully finished w/separate entry, bdrm, full bath plus plumbing all ready to go for secondary suite including washer/dryer. Immediate possession.